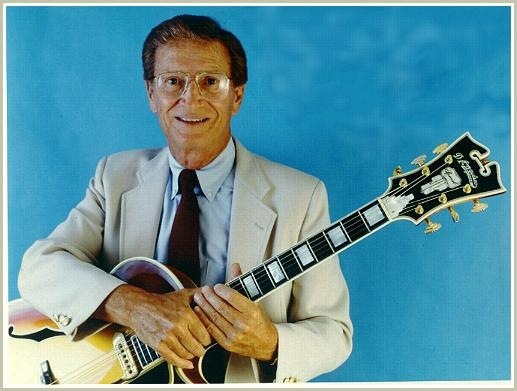 After over 18 years of service to the organization, Harold Bradley is no longer president of Nashville’s Local 257 chapter of the American Federation of Musicians. Dave Pomeroy was elected president last week by a vote of 675 to 449. Out of it’s 2620 members, 1165 votes were cast in this election, which is more than double the number of votes cast in the 2005 election. This is most certainly the end of an era for Harold Bradley, for whom I have a great deal of respect and admiration. 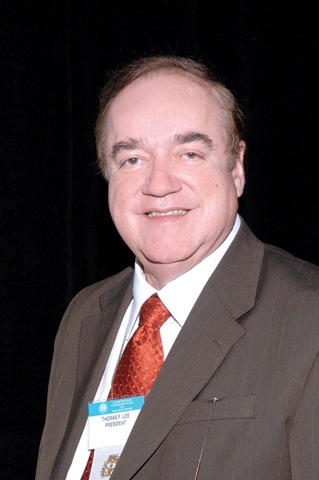 He began his long services as president of Local 257 on January 1, 1991 and later became the International Vice President serving the AFM’s International Executive Board, a position he will likely retain until 2010. He received the AFM’s Lifetime Achievement Award in 2006, the same year he was inducted into the Country Music Hall of Fame. Bradley was also the first president of the Nashville chapter of NARAS and continues to serve as a member of the Grammy organization’s Board of Governors. Harold and his brother, Owen, built Nashville’s earliest recording facility, Castle Recording Studio, in the early 40’s. As the architect of the Nashville Sound, Harold was part of Nashville’s original “Nashville Cats,” the A-Team, which included such notables as Boots Randolph, Floyd Cramer, Hargus “Pig” Robbins, Buddy Harman and The Jordanaires. He is one of the most recorded guitarist in the world, and has been pickin’ on country albums for over 60 years, including work on such classics as Bobby Helms’ Jingle Bell Rock, Brenda Lee’s I’m Sorry, Roy Orbison’s Only the Lonely, Patsy Cline’s Crazy, Roger Miller’s King of the Road, Tammy Wynette’s Stand By Your Man, Eddy Arnold’s Make the World Go Away, and Loretta Lynn’s Coal Miner’s Daughter, just to name a few. Harold Bradley will always be considered a formidable force in Nashville’s music industry. 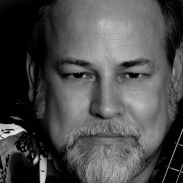 Bradley’s replacement, Dave Pomeroy, is a well known and seasoned musician as well, having played electric and acoustic bass on more than 500 albums during his 34 years in the music industry. Dave has played with artists including Emmylou Harris, Alan Jackson, Elton John, Peter Frampton and Chet Atkins, including work on 6 Grammy-winning projects. Dave is also an independent producer and has produced numerous projects which can be found on website. "I am humbled to be elected to the office President by the members of Local 257. Thanks to everyone who voted and all those who volunteered to help my campaign. On behalf of all members past and present, I thank Harold Bradley for his many years of dedication and service to this Local and the AFM. I am honored to be carrying on the historic tradition of leading Local 257 as we move into a rapidly changing future. We have one of the most dynamic, versatile, and innovative music communities on earth, and I look forward to representing the best interests of all Nashville musicians, both here at home and around the world." Pomeroy will begin his three-year term effective January 1, 2009. In the same election, Craig Krampf defeated Billy Linneman for Secretary-Treasurer by a vote of 570 to 539. Re-elected to the Executive Board were Bruce Bouton, Bobby Ogdin, Andy Reiss, Laura Ross, and Denis Solee, who were joined by new members Duncan Mullins and Jimmy Capps. There is much controversy surrounding the election, which is viewed by some as “revolutionary.” The scuttlebutt is that a riff has been developing since 2001 between the leadership of the AFM’s International Executive Board and AFM members who were also members of the Recording Musicians Association, the local chapter of which Pomeroy is president. The RMA, a player conference sanctioned by the AFM, is a 1400-member organization of studio musicians with chapters in Los Angeles, New York and Nashville, It is arguably one of the most active conferences in the AFM. Bradley and Linneman, for better or worse, threw their support behind resolution put forth by Thomas F. Lee, the IEB President, and passed by the IEB in Las Vegas in June 2008, which threatened to “de-conference” the RMA at its September conference. Lee’s opposition to the RMA derived from stemmed from his promotion of a deal which eliminated so-called backend new usage “buyouts” of musical scores used in video games, something which the AFM was reluctant to do in the past. Read more about his in this Variety article. This resolution, submitted by RMA President David Pomeroy, is intended to influence my vote! I will continue to vote my conscience (based on the facts before me), and I resent this attempt to force me to vote otherwise. This statement appeared in an open letter to Local 257 in the July-September 2008 edition of the Nashville Musician, the Local’s newsletter. This exchange ultimately led to the controversial election of last week. The waves of discontent were also felt in Los Angeles, where RMA member Vince Trombetta was elected as Local 47’s president earlier this month, also in an apparent backlash against Tom Lee’s anti-RMA leanings. The principals of democracy are certainly at work in the AFM, just as they were in the presidential elections this year! I know Dave Pomeroy and I believe he will be a caring and effective leader for the AFM. I congratulate him and wish him the best in the new endeavor, knowing full well that he has some difficult struggles ahead in leading the opposition. I also know and respect Harold Bradley. Harold is a Nashville icon who has been an effective leader of Local 257 for almost two decades. I believe he wanted what he thought was best for the musicians and I know that he always had the musicians’ interests at heart. I thank him for his service to the industry. But no one is perfect. While I do not intend to take either side in this debate, I will note that perhaps it was indeed time for a revolution. There is no doubt now that new leadership is the order of the day. Nashville’s musicians are the backbone of our industry and they deserve adequate compensation and representation. The majority of them now feel that Dave will do that and I commend their choice. While no one really likes it when it comes, change is often a good thing. I hope that at least in the Local 257, egos can deflate to normal and tempests can subside, and harmony can once again return to the organization that is at the heart of Music City.